Sometimes when I’m cooking at home, I like to have a spicy or hot sauce of some kind to top my dishes. Many times I do the old mayo and horseradish trick, sour cream tzaziki or just spiced ketchup. 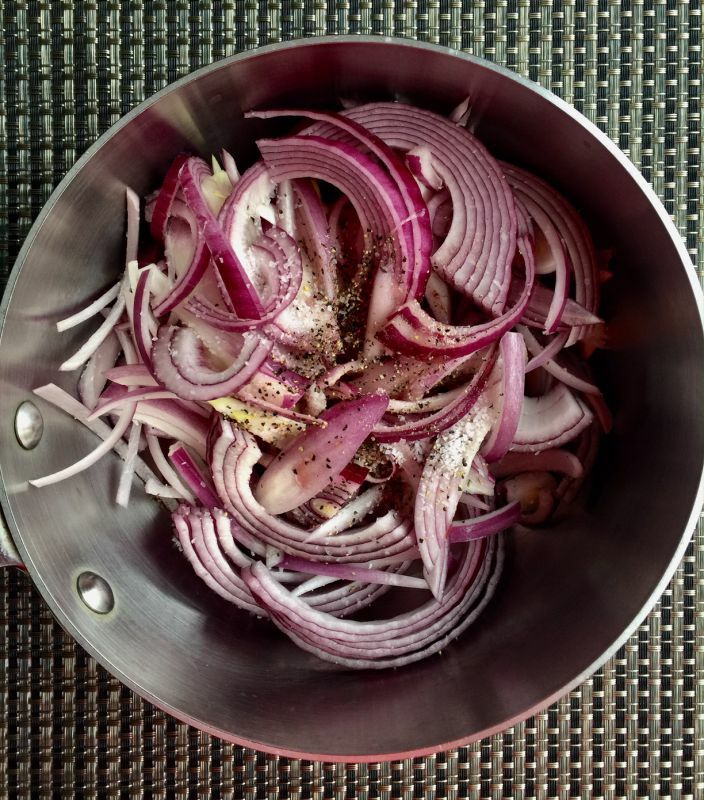 I always have in my pantry onions, shallots, garlic and red onion. 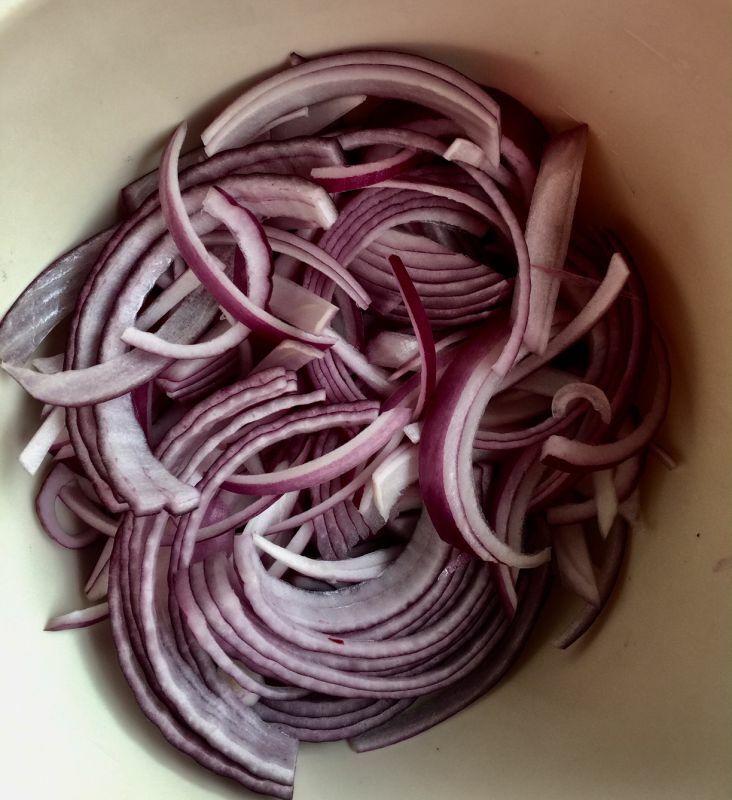 I love red onions. I add them in obvious meals such as salads, soups, and sandwiches, but I needed more. And with all the craze for fermented foods today, I decided to try my hand at a marmalade. This is so easy and fast, they can be prepared the day you need them, or place them in an airtight glass jar and store them in your refrigerator. Onions, leeks, garlic, shallots, chives, and scallions not only lend great flavor to meals, they have beneficial effects on the cardiovascular and immune systems, as well as anti-diabetic and anti-cancer effects, which slow tumor growth and kill cancer cells.These vegetables also contain high concentrations of anti-inflammatory flavonoids–antioxidants that contribute to their anti-cancer properties. 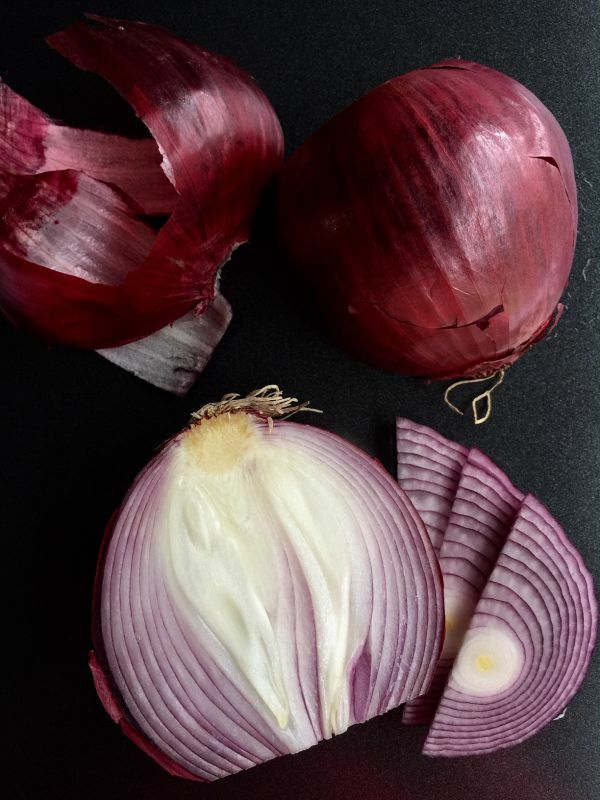 Eating onions and garlic frequently is associated with reduced risk of digestive cancers. For more information visit; Dr. Fuhrman Health Site. 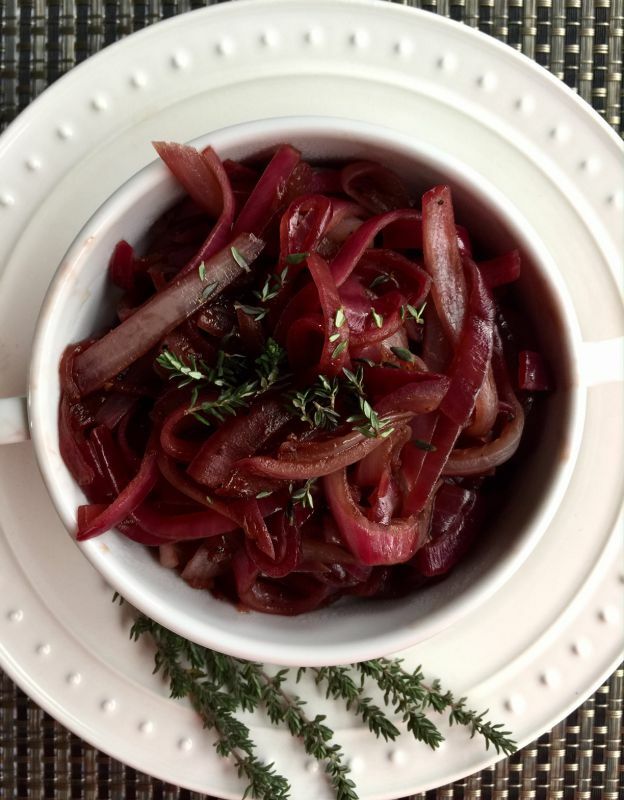 If you love onions then this recipe is for you. Top your sandwiches, add them to your protein, or just snack with cheese and crackers. Believe me once you make this the will become a staple in your diet. 1. In an medium saucepan, add all the ingredients, except the thyme. 2. Cook on medium until all the liquid evaporates. 3. Remove from the heat and add the thyme. 4. Serve warm or room temperature. Or cool and store in a clean jar or bowl and refrigerate, up to 10 days. 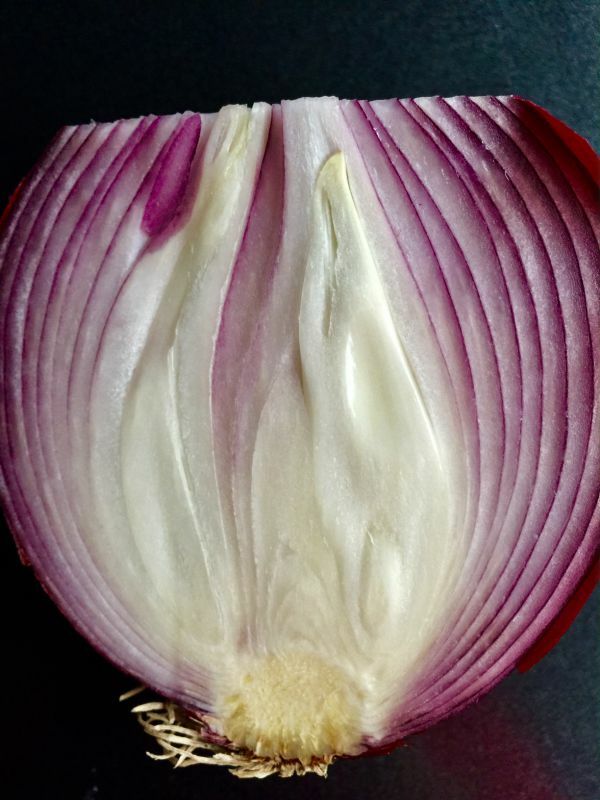 Peel and slice the onions very thin. Add to a medium saucepan. Add all the ingredients and cook on medium until all the liquid evaporates. 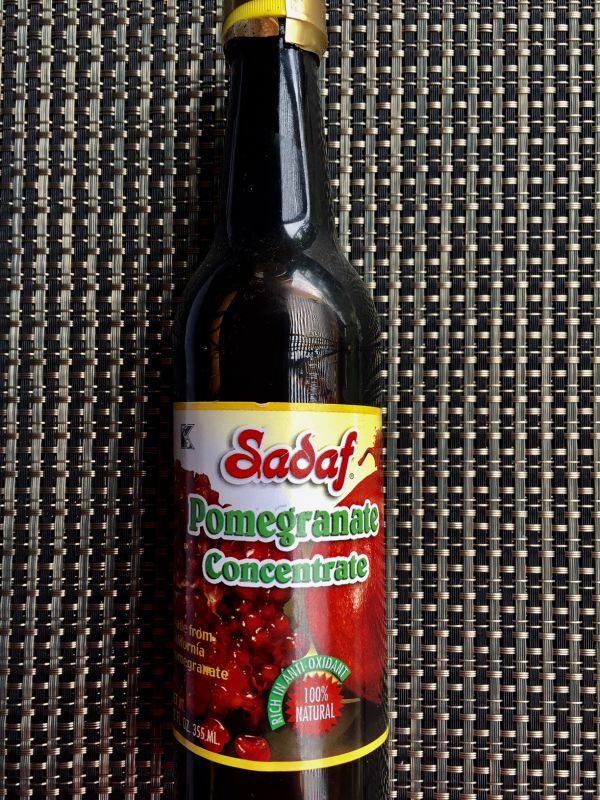 Here, I used pomegranate concentrate which can be found at ethnic stores or your ethnic section of your store. Serve immediately or refrigerate up to 10 days. Love your posts and reading about your family history. This recipe looks delish and very easy to make. I would like to make it but am wondering how and with what would I serve it? As a side or….? I always look forward to your posts and have made several dishes like your lentil soup and green beans and a couple salads…..loved them all. It makes a great cheese board side! For everyday, I would use it in grilled cheese sandwiches, on top of burgers, top a potato soup, in a regular sandwich such as pastrami, roast beef dip. 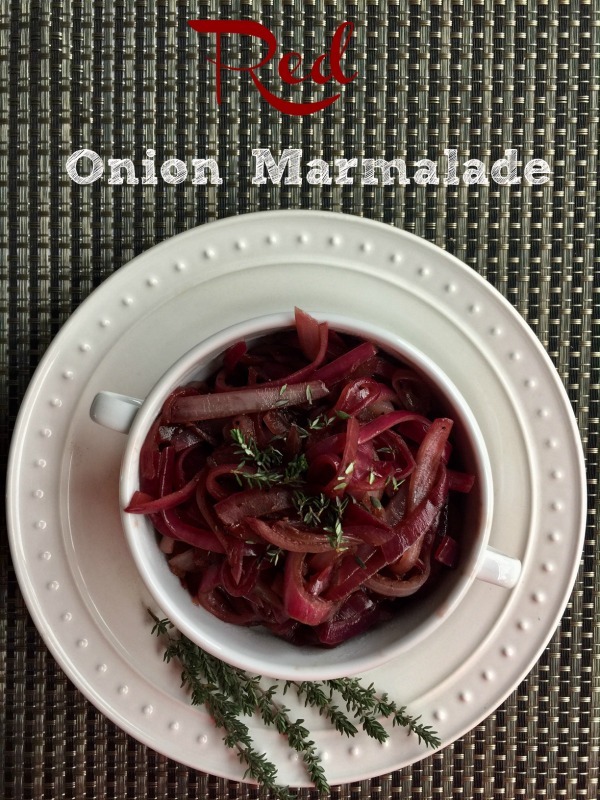 It can be added to any vegetable dish as a topping.